R. V. Cassill, (Ronald Verlin Cassill), 1919 – 2002 was a prolific writer, reviewer, editor, painter, and lithographer. He is most noted for his novels and short stories, for which he won several awards and grants. The New York Times referred to him as a "man of letters who was a novelist, short-story writer, editor, book reviewer and teacher of creative writing." Cassill was born on May 17, 1919 in Cedar Falls, Iowa. He earned a B.A. in art at The University of Iowa in 1939. From 1942 to 1946, Cassill served the United States Army in the Medical Administration Core as a first lieutenant, stationed in the South Pacific. Cassill's wartime experiences culminate in his short story "The Conditions of Justice," published in 1947, and won him his first Atlantic Monthly. After returning from the war, Cassill studied art at the Art Institute of Chicago in 1946, where his artistic skills flourished. He mounted exhibits in Chicago in 1946 and 1948. After studying in Chicago, he returned to the University of Iowa, earning his M.A. in 1947. In 1949 he briefly served as an instructor at the University's Writer's Workshop before attending the Sorbonne in 1952 for a year as a Fulbright Fellow, studying comparative literature. Cassill worked as an editor for the Western Review of Iowa City from 1951 to 1952, Collier's Encyclopedia from 1953 to 1954, and Dude and Gent in 1958. Cassill took a lecturing position at the University of Washington in Seattle in 1955; in 1957 he taught in New York, where he became a lecturer at both Columbia University and the New School for Social Research. Between the shift of moving from the west coast to the east coast, Cassill fell in love and married Karilyn Kay Adams on November 23, 1956. Together they had three children, Orin, Jesse, and Erica Cassill. Cassill returned to the University of Iowa in the same capacity in 1960 where he would teach for a few years at the Iowa Writer's Workshop. Among some of the students who took classes with Cassill at the Iowa Writer's Workshop during this time, and would later go on to achieve some measure of acclaim, included Clark Blaise, Raymond Carver, and Joy Williams. His next position was as writer-in-residence at Purdue University from 1965 to 1966. Soon after beginning teaching at Brown University, Cassill founded the Associated Writing Programs (now known as the Association of Writers & Writing Programs) in 1967. Cassill was appointed Associate Professor at Brown University in 1966 and then to Professor of English in 1972 where he remained until his retired from teaching as Professor emeritus in 1983. In addition to his teaching Cassill served as U.S. Information Service lecturer in Europe from 1975 to 1976. 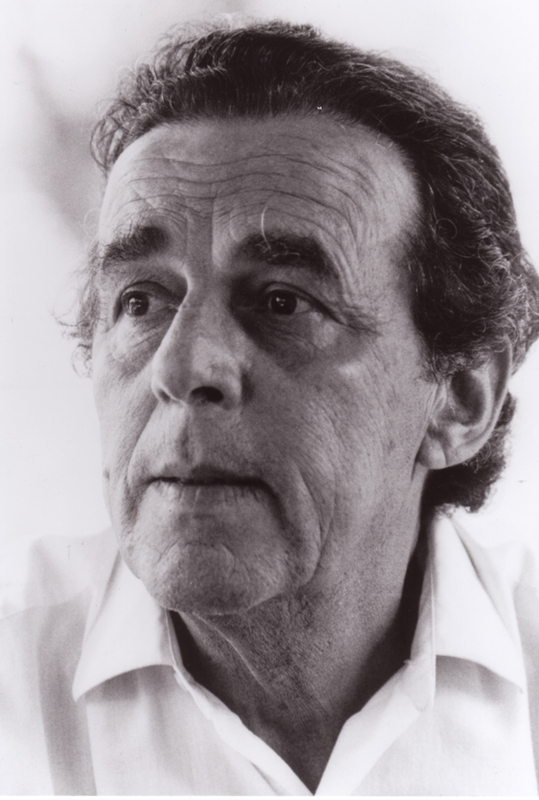 After retiring from Brown University, Cassill became the editor of the Norton Anthology of Short fiction, retaining this position until his death in Providence, Rhode Island in 2002. Cassill's papers are archived at the Mugar Memorial Library at Boston University. Cassill received the Atlantic Monthly's "Firsts" prize for a short story in 1947. He won the O. Henry short-story award for "The Prize" in 1956. He was given a Rockefeller grant in 1954 and a Guggenheim Fellowship in 1968. In 1995 the American Academy of Arts and Letters awarded Cassill the Academy Award for Literature. Cassill's prolific career in writing and publishing, along with a wide array of interests beyond fiction, make it difficult to summarize the thematic nature and concerns of his work. His stories and novels concern bucolic life in the midwest, the life of the artist or academic, and at times extend into autobiography. A preoccupation with the fates of couples, in alienation and union, is exhibited in much of his fiction, as is the warring of emotional and rational impulses in individuals and pairs. A strong visual identification is intrinsic in his prose, likely due to his training as a visual artist. Among his most famous novels were Clem Anderson, Pretty Leslie and Doctor Cobb's Game and but the sheer breadth of his writing and his pervasive influence as a teacher have secured Cassill's legacy in modern fiction. Like many of his literary contemporaries in the 1950's and early 1960's, he wrote a number of paperback 'originals'. Despite their lurid covers and the constraints of the genre, these books "combined paperback story-telling at its strongest with subtle literary quality" as Anthony Boucher wrote in the New York Times Book Review. Mr. Cassill was equally respected as a short-story writer. Reviewing his 650-page ''Collected Stories '' for The Times Book Review in 1989, Frank Wilson wrote, ''Just about every story in this collection is a textbook example of what a piece of short fiction ought to be: immediately engaging, swiftly paced, economical.'' For his skill in this medium, Mr. Cassill was chosen to edit two widely used college textbooks, the Norton Anthology of Short Fiction (1977) and the Norton Anthology of Contemporary Fiction (2nd edition, 1989). Cassill was equally well known as a teacher of writing. A great many of his students went on to become published writers themselves, including Jerry Coker, Percival Everett, James Whitehead, William Harrison, Joy Williams and Irvin Faust. Cassill was also a prolific artist who had several one-man shows and produced oil paintings, watercolors, lithographs, drawings as well as sculpture in wood, concrete, and paper mache.